WorldBuild Moscow/MosBuild is the largest Building&Interiors trade show in Russia. The exhibition took place from 4 - 7 April 2017 at Expocentre, Moscow and is in its 23rd year. It is attended by 64,490 visitors and 1,200 Russian and international exhibitors across the building & interiors sector and is part of the largest international family of construction trade shows in the world (ITE’s WorldBuild portfolio). The portfolio consists of leading events across countries including Russia, Turkey, India, Kazakhstan, Uzbekistan, Indonesia, Azerbaijan and Ukraine. 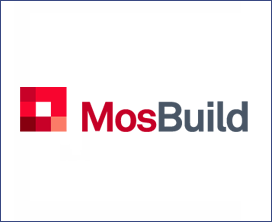 WorldBuild Moscow/MosBuild is a reliable platform for business development in Russia, for holding meetings with new and existing clients from across Russia and CIS. Who attends: WorldBuild Moscow/MosBuild is attended by 64,490 representatives of wholesale and retail businesses, building and renovation organisations, interior design, architecture and design studios from over 81 regions of Russia. Participation in WorldBuild Moscow/MosBuild - is an opportunity to increase sales and expand the geography of marketing. 64,490 professionals of the building industry from 81 regions of Russia visited WorldBuild Moscow/MosBuild 2017.